The Wardens Club, in Ormskirk Road, Old Skelmersdale presents Ritchie Penrose. 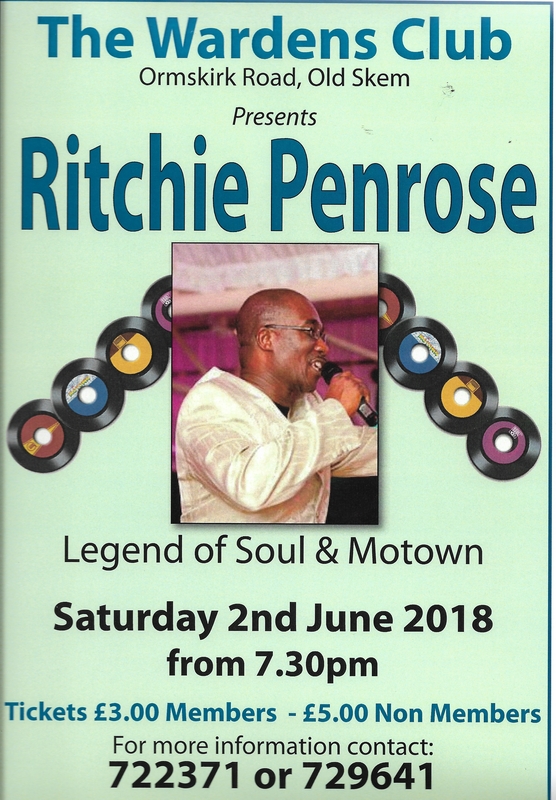 Ritchie Penrose, Legend of Soul & Motown, will be taking place on Saturday 2nd June from 7:30pm. Tickets are £3 for members and £5 for Non Members. For further information contact 722371 or 729641.